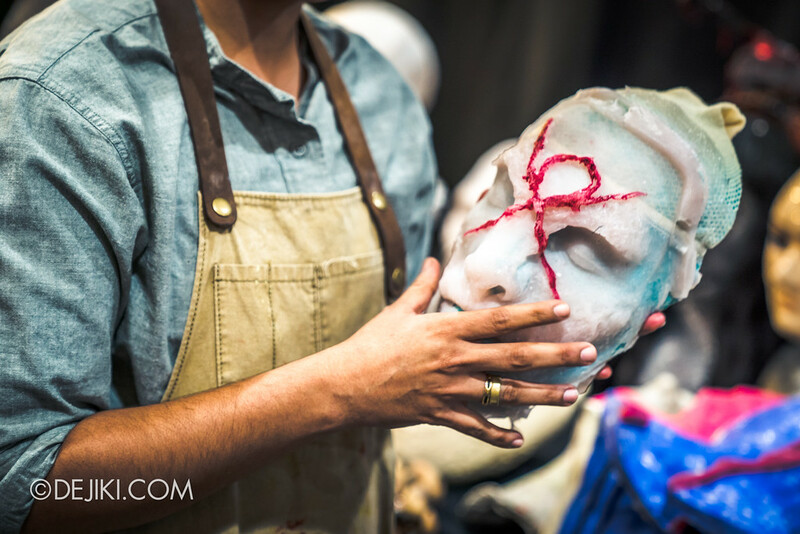 Go behind the scenes of Halloween Horror Nights 7 and tour the HEX haunted house right now – if you dare. 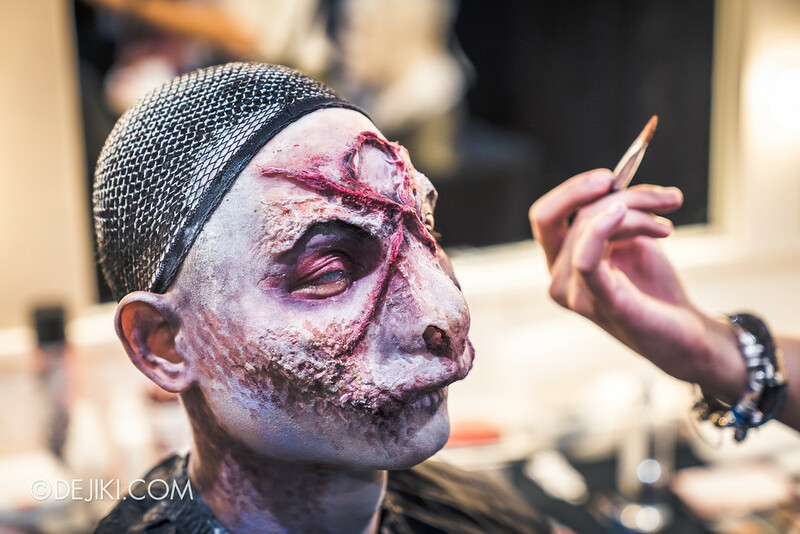 Halloween Horror Nights, Singapore’s ultimate Halloween event, is now in its 7th year. 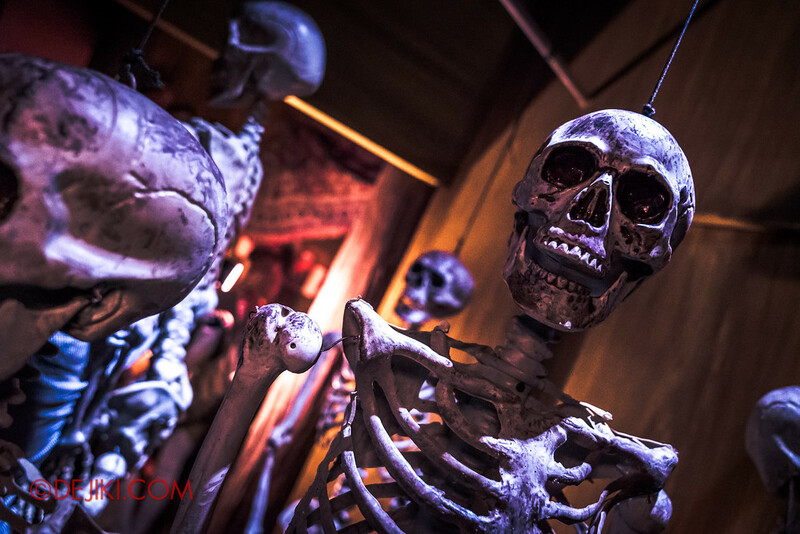 Universal Studios Singapore gained a reputation for staging immersive scare attractions, each with original themes. The high standards and expectations are raised every year. 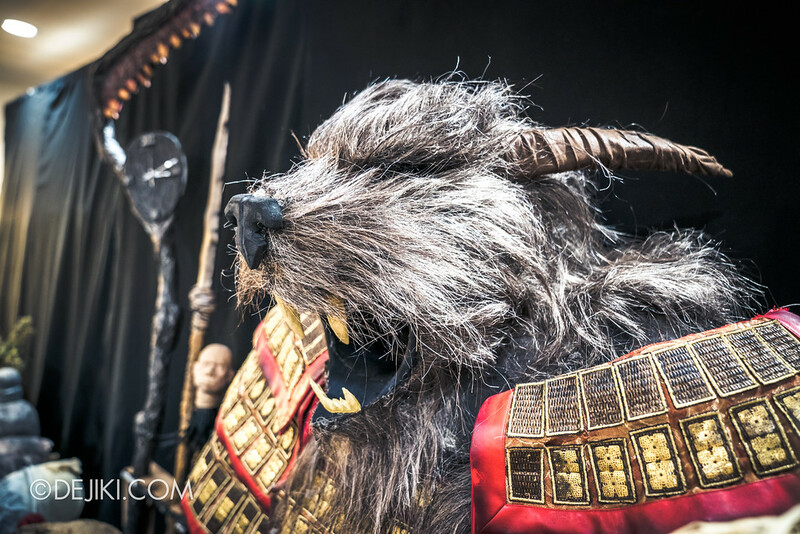 But what goes on behind the scenes to bring the horrors to life? 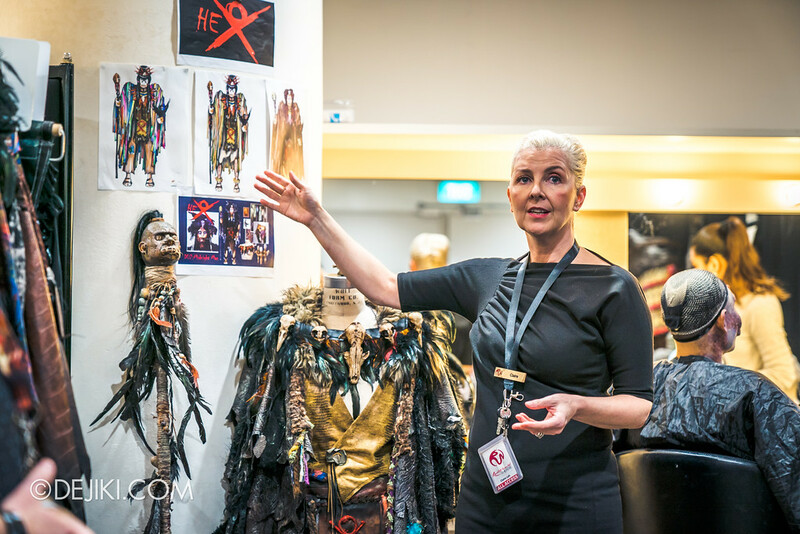 The media had an early preview of this year’s event through the eyes, and hands, of the creative and production teams. 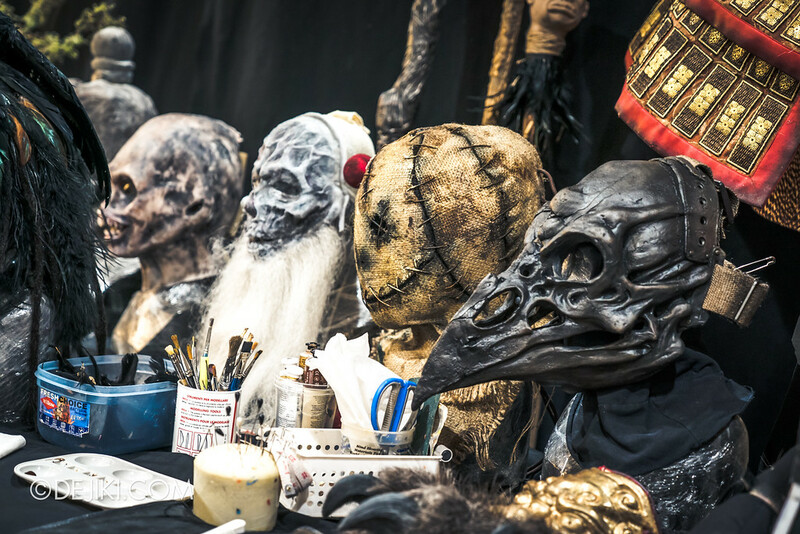 I’ll be weaving the insights gleaned from the tour into upcoming entries of Before Dark – but for now, let’s get to the most exciting part: The creation of the Midnight Man (one of this year’s icons) and then a tour inside a haunted house. So you better read this entry to the end. 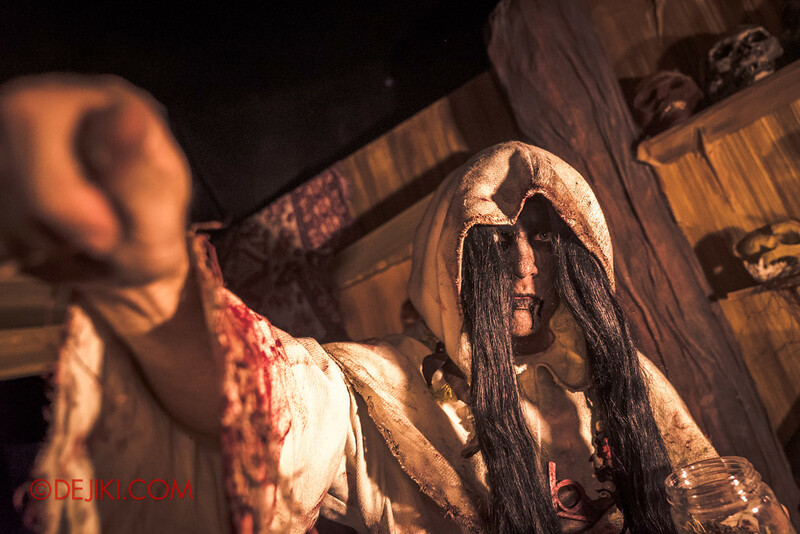 The Midnight Man is the master of the HEX haunted house. Embodying the Sin of Manipulation, he can offer spells to anyone… at a price. 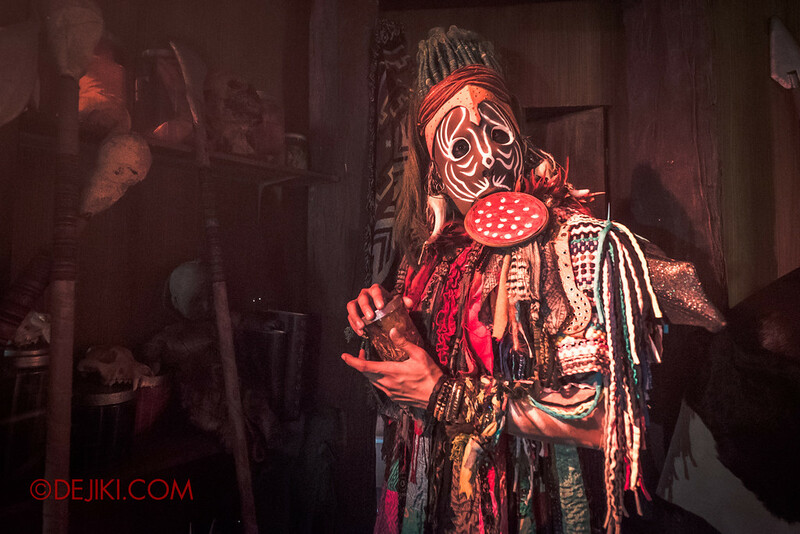 He is a dangerous, occult character, with a killer outfit to match: Fashioned out of pelt, skulls, and feathers, the Midnight Man wears what most people would associate with witch doctors and shamans. His twisted visage demonstrates his years of practicing the dark arts, before being ensnared by its power, and eventually betrayed. 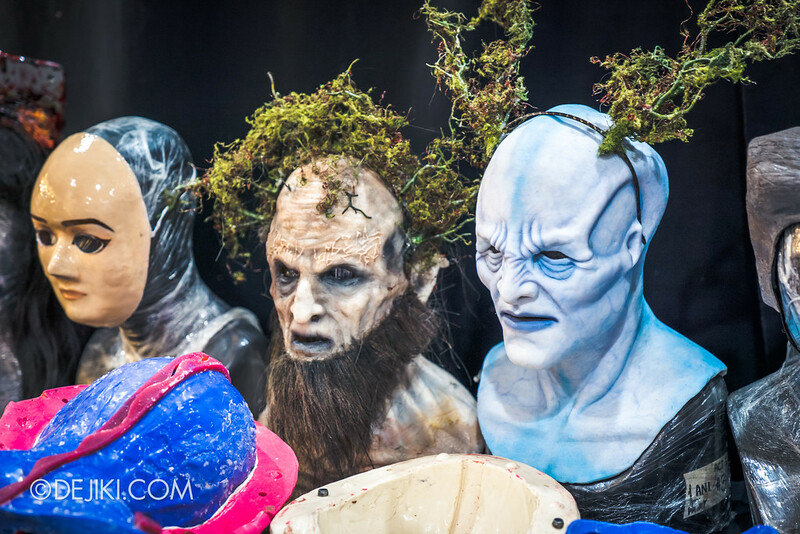 Here is the Midnight Man’s face as a bare silicone mask. It is branded with the Sign of Manipulation. Did you know that every Sin has a unique ‘Mark’? 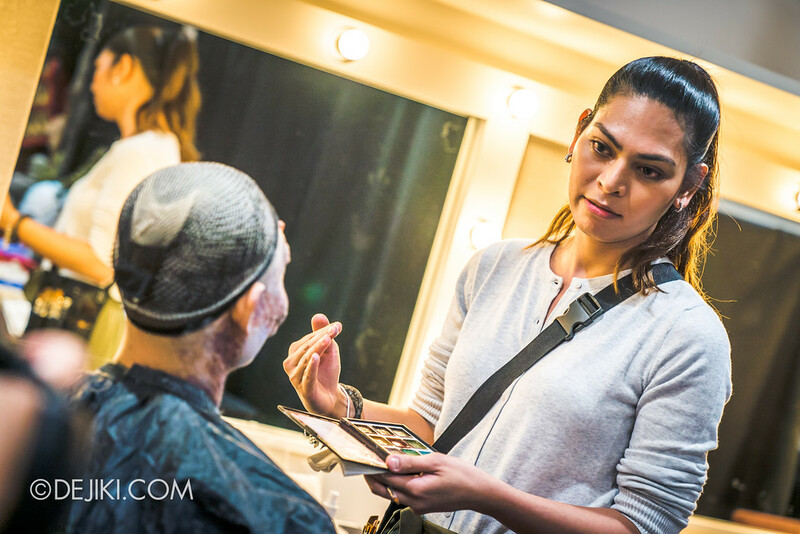 Resorts World Sentosa’s in-house team prepares the costumes and prosthetics for their scare actors. 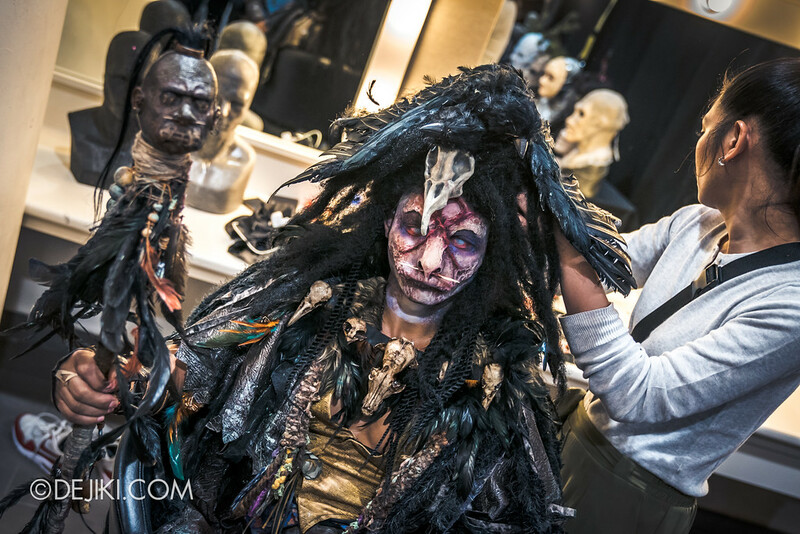 Every night, close to 120 make-up artists are involved. 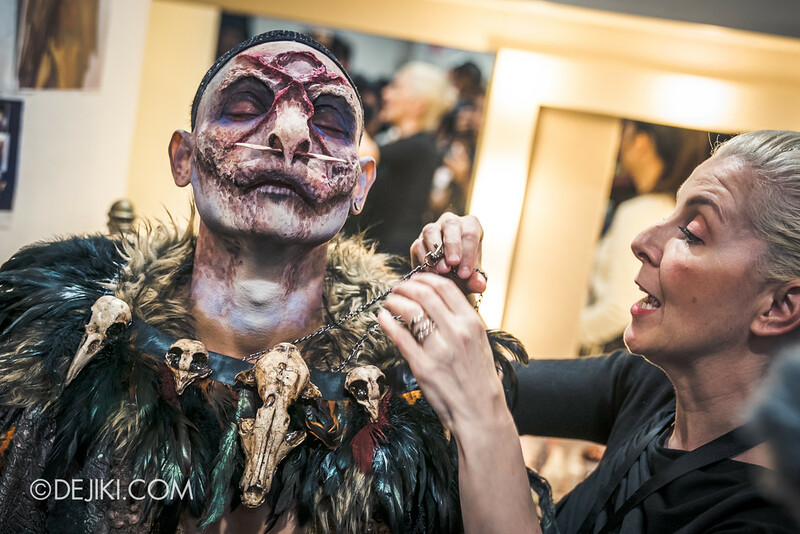 This silicone mask of the Midnight Man requires careful application by a makeup artist. 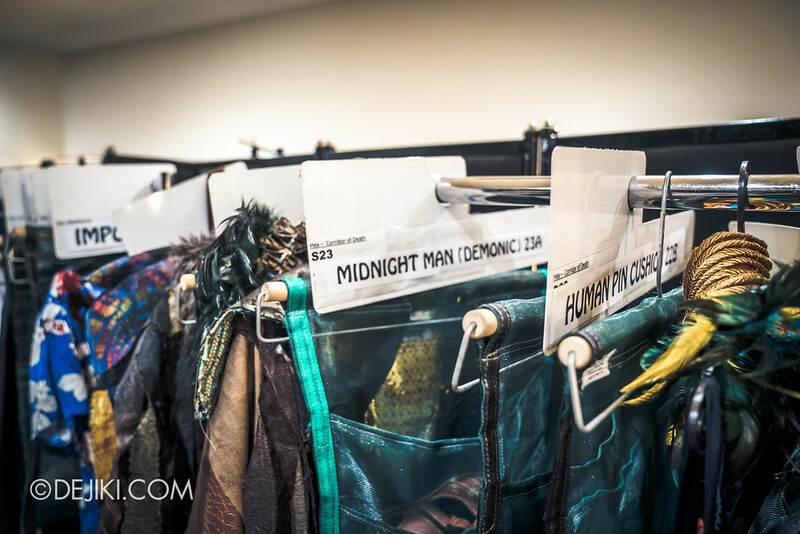 For a show-stealing performance, each of the 7 iconic characters takes about 2.5 hours of prep time to put together. 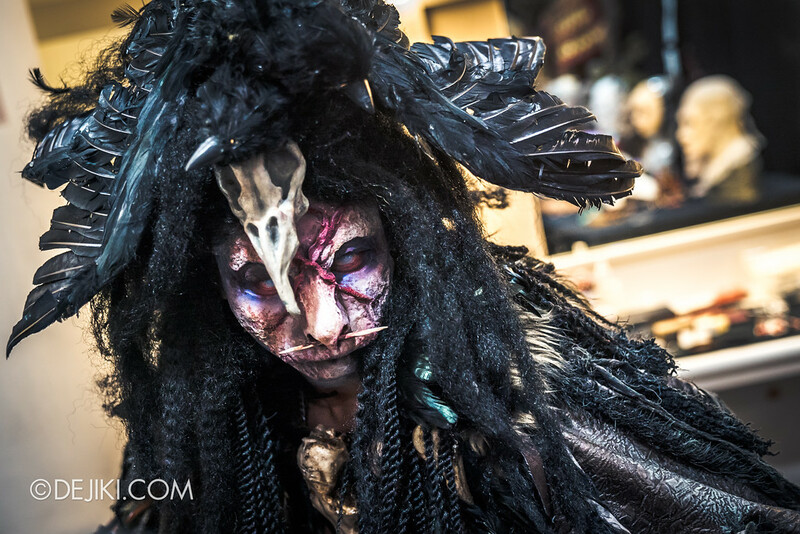 The Midnight Man, like the other iconic characters this year, share the same fearsome gaze of white eyes. 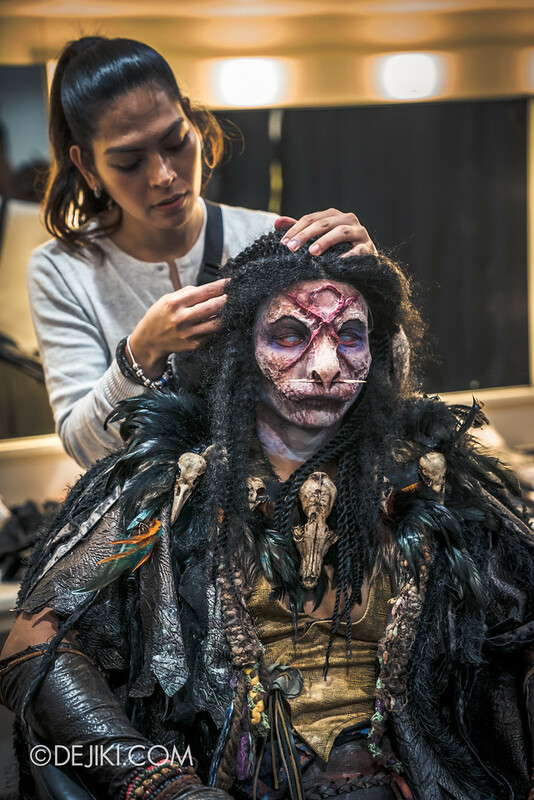 At the make-up demo, there were several other costumes and prosthetics on display – all carefully curated, I believe, and could offer us more hints if we take a closer look. I wonder. Better stop wandering around. 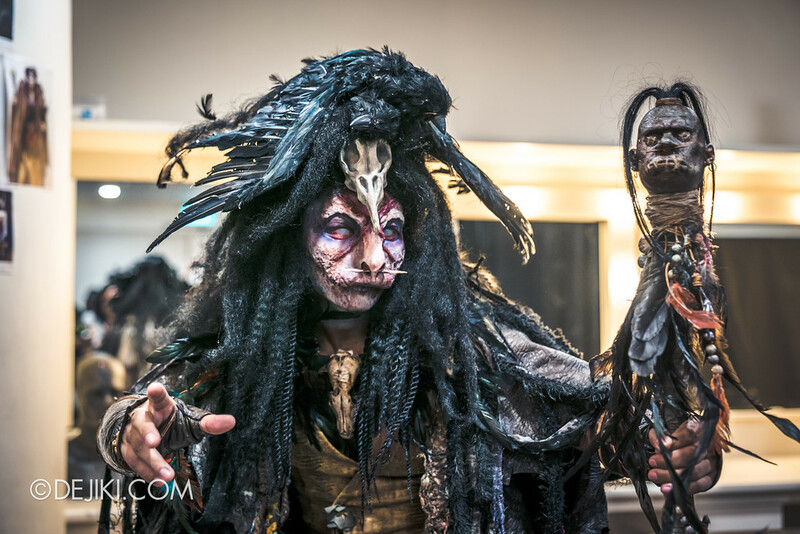 After countless skilful strokes and a lot of patience, the mask has seamlessly blended with the performer’s face, and he is ready for the next phase – wardrobe and hair. 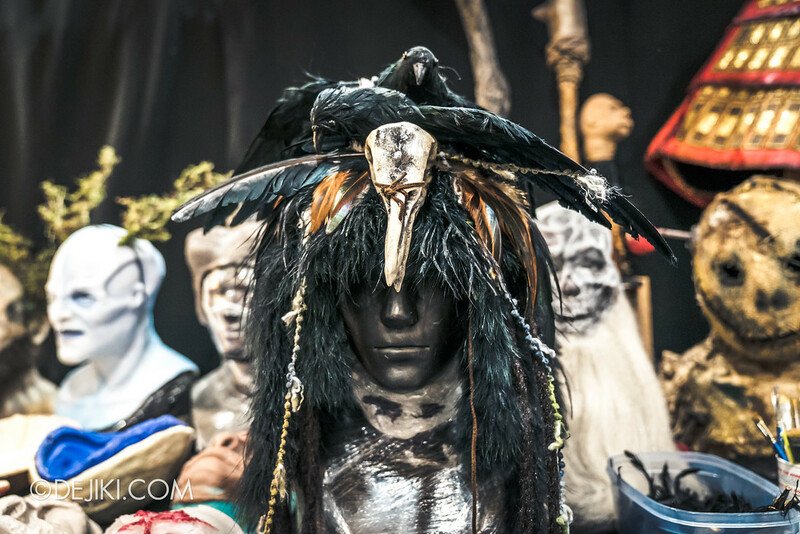 And in case you didn’t know, the Midnight Man wears a few dead crows as a crown. 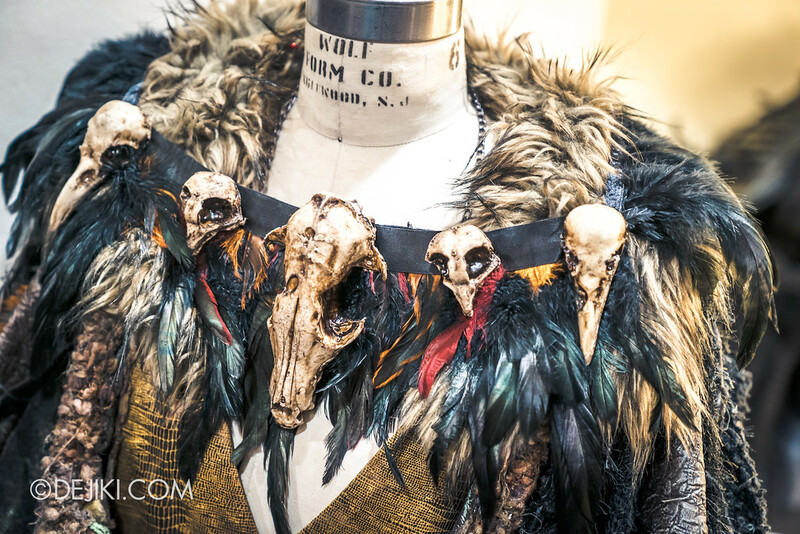 A grisly spin on royal hats. 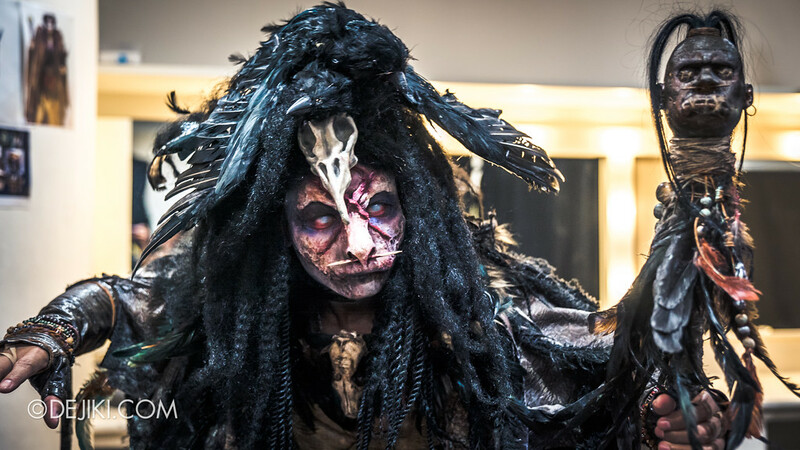 And now, he is ready… to cast a spell on you. 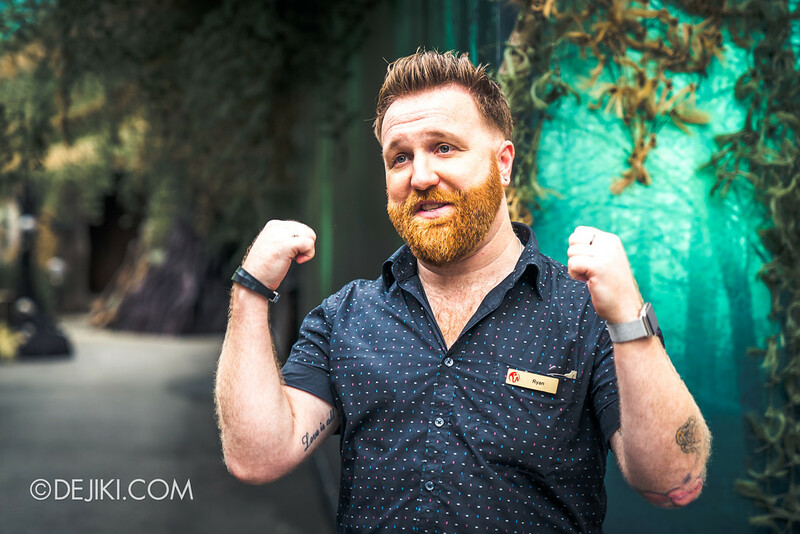 Ryan, from Resorts World Sentosa’s Entertainment Team, gave us a tour of the first few scenes inside the HEX haunted house. 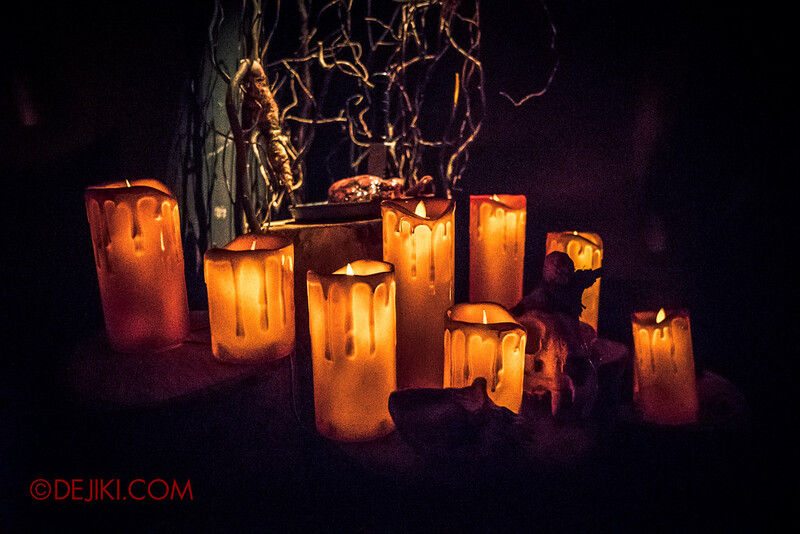 Note: This is a preview of the HEX haunted house. Only some scenes are featured. 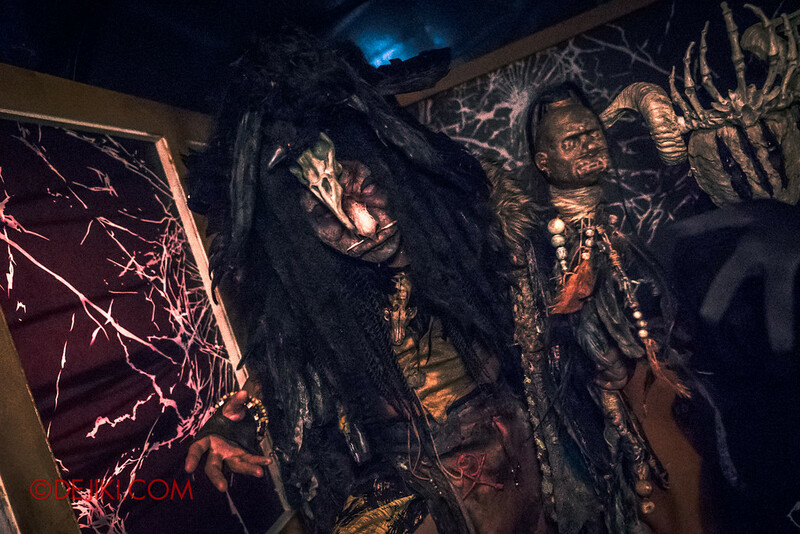 Guest experience may differ during HHN7 event nights. 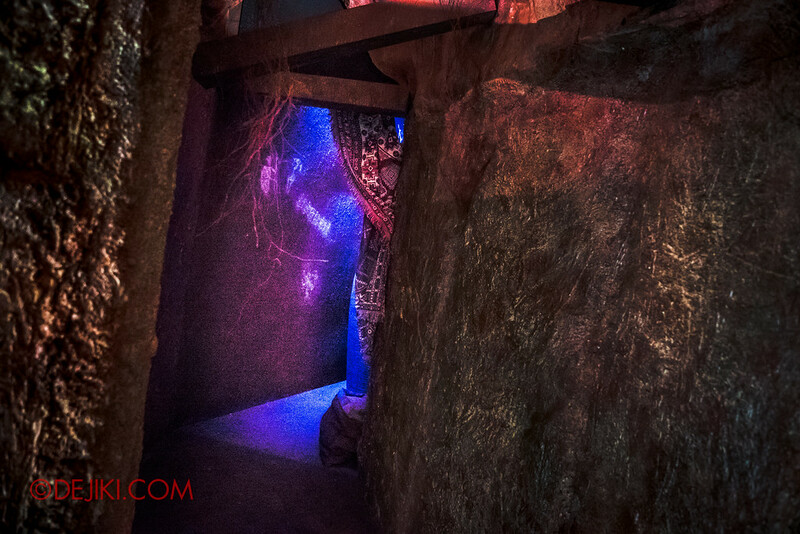 The Midnight Man’s hut lies deep within a jungle. 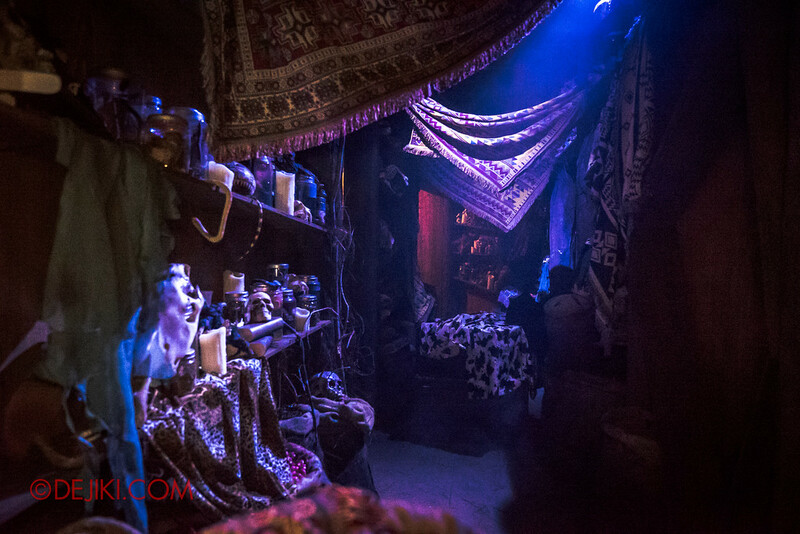 Within the cavern-like chambers, numerous bags of strange items are strewn all over. Some appear to be filled with bones. The Midnight Man draws us in. 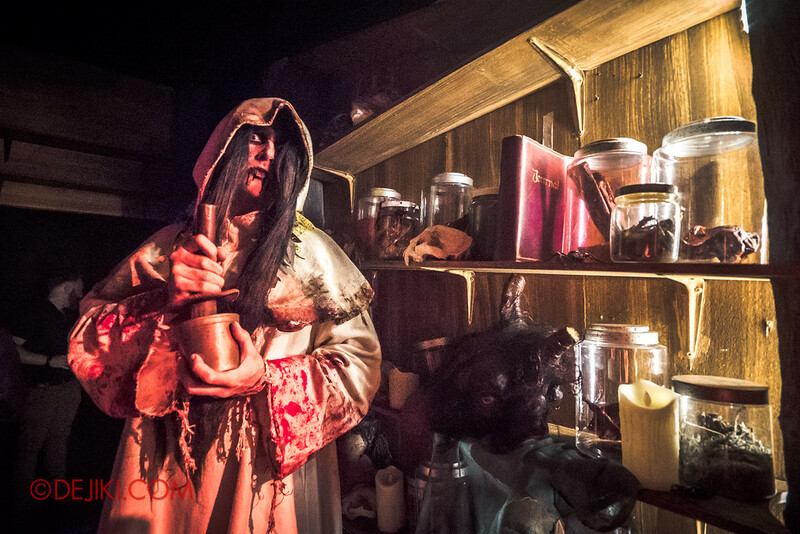 As a purveyor of hexes, he needs a plethora of ingredients – and this house is brimming with them. 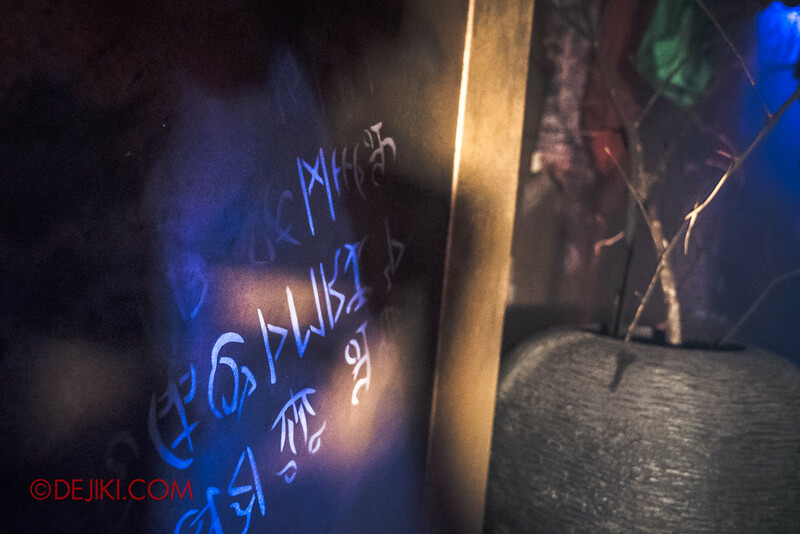 Incantations can be found scribbled everywhere. 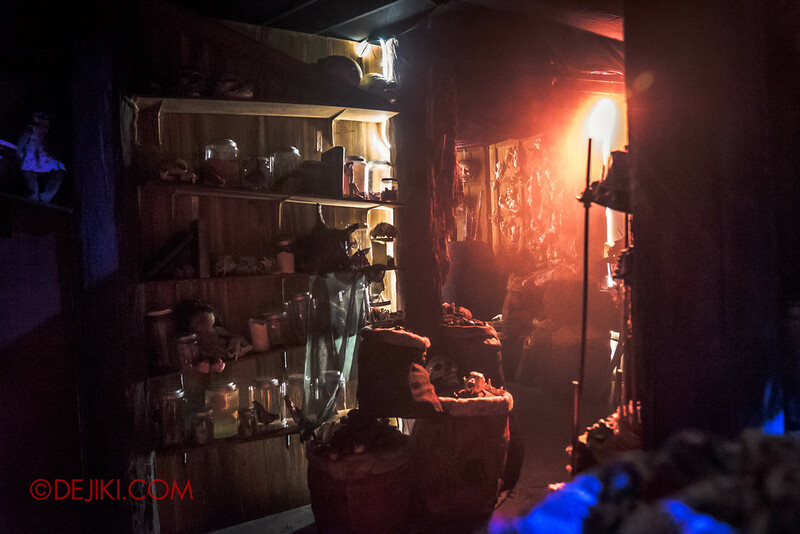 And rooms filled with collections of cursed objects. Do not touch anything. 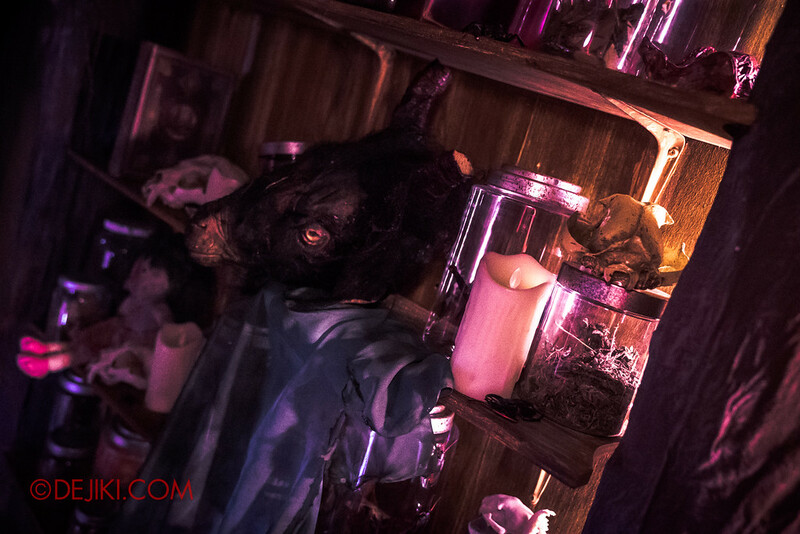 As a house of ancient magic, you’ll find other practitioners of the dark arts here. An interesting design feature in HEX’s initial scenes: The rooms are not entirely boxed up, instead they wind around one another. 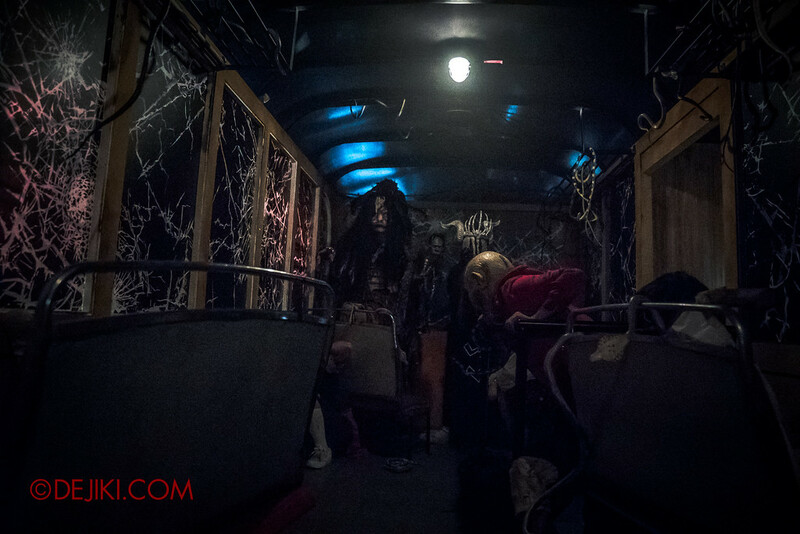 In one scene, tragedy strikes a school bus as the Midnight Man casts a deadly curse to collect souls. Would you be able to survive to the end? 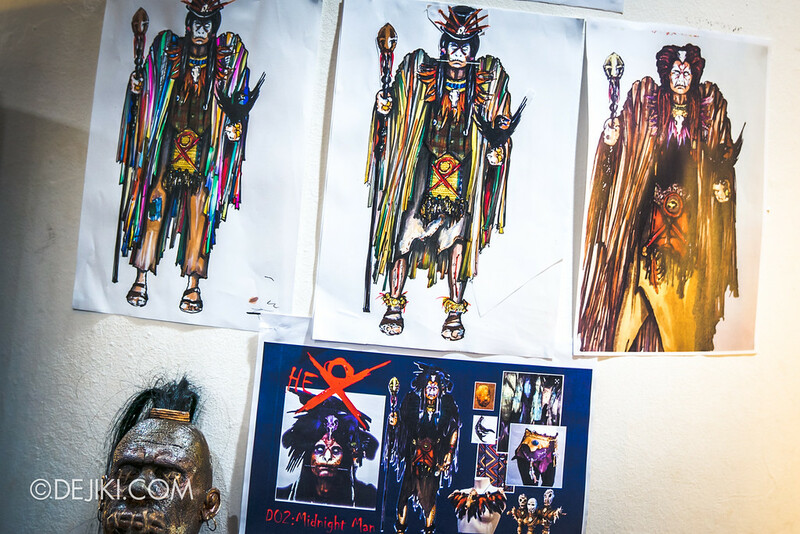 HEX is described by the creative team as a “journey of a spell”. 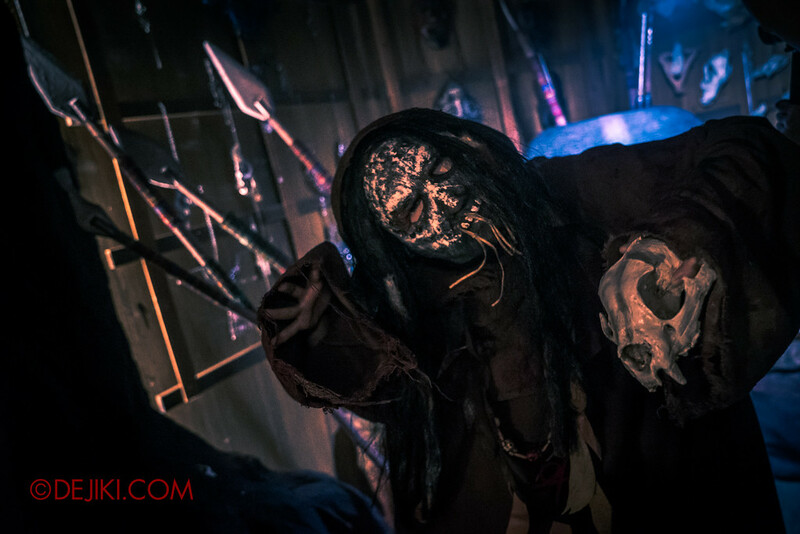 The Sin of Manipulation and the truth behind the Midnight Man will emerge through this harrowing trip into the occult. 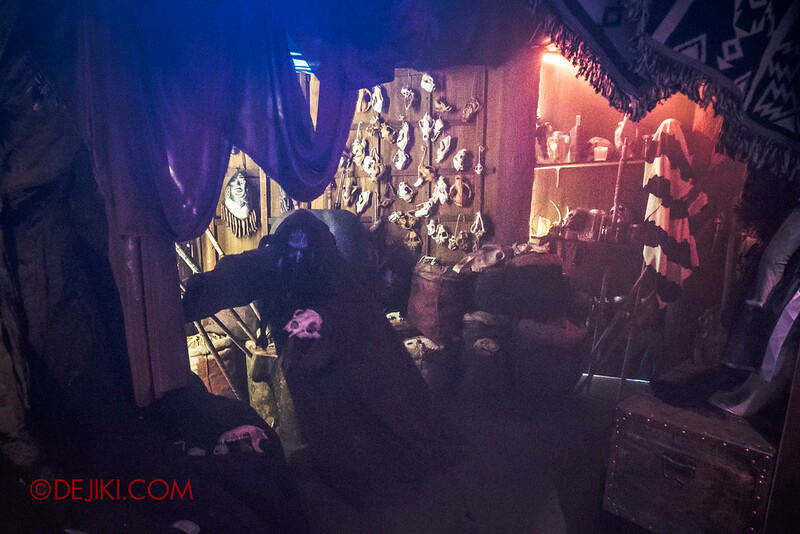 Along the way, guests will witness scary rituals and other frightening sights, as they uncover how evil intentions can backfire with grave consequences. Moral of the story: Be careful of what you wish for, as there will be a heavy price to pay. 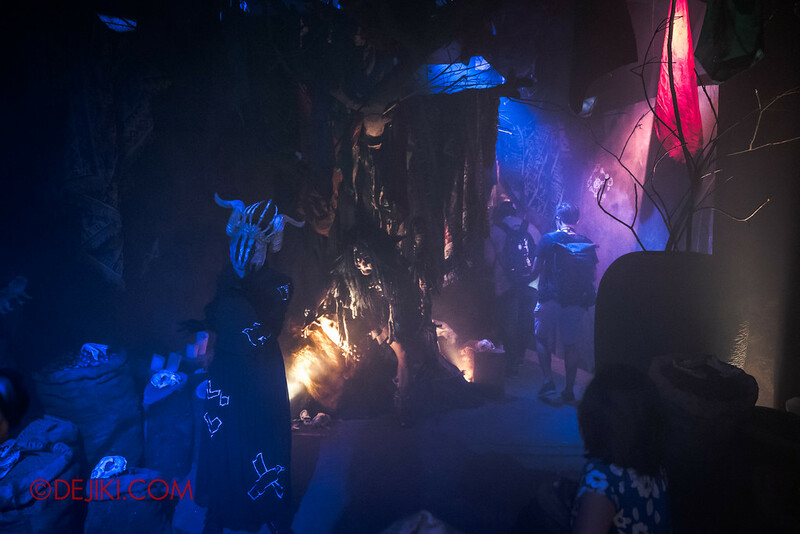 Special Thanks to Resorts World Sentosa for giving us a first taste of HHN7. 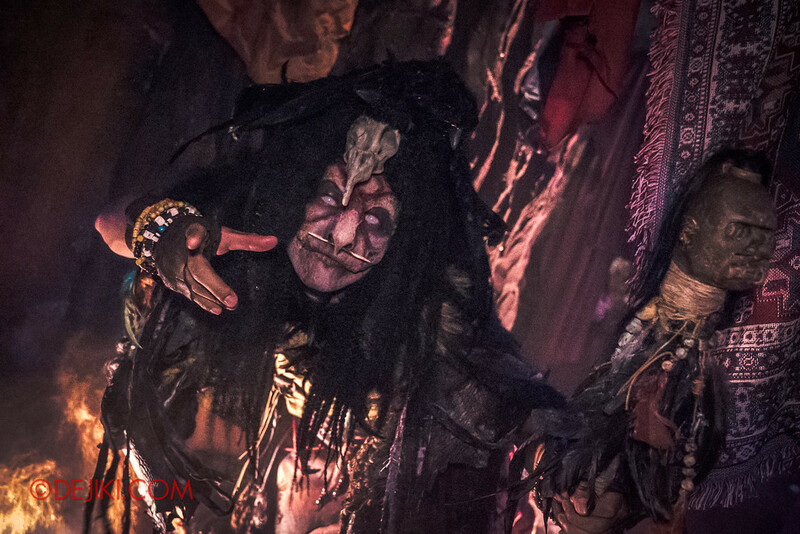 Stay tuned for more updates on HHN7. 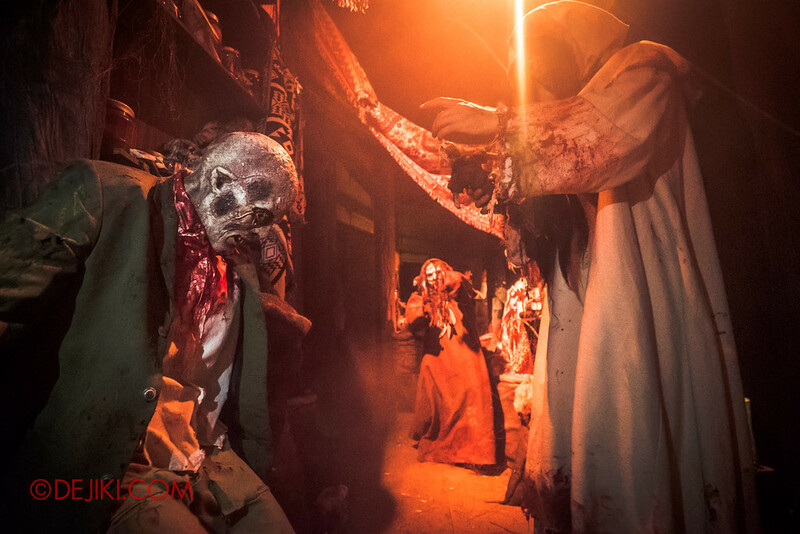 Get your tickets now at www.halloweenhorrornights.com.sg or check out our EVENT GUIDE for more options and discounts. I wonder if the marks of each Sin mean anything. They are hidden on the image for Death Mall, Inside the Mind, Make the Cut, Hex, TERRORcotta Empress, Happy Horror Days and Laboratories. All the marks can also be seen on the concept art for Pilgrimage of Sin.